suitcase I needed. I thank you lots. I love you so much. I pray that God bless you and keep you healthy. 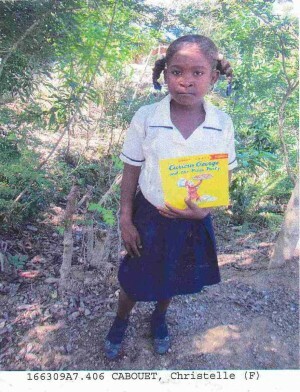 Christelle is in grade four and she learned to read at a higher level this year - we can tell that one of her favorite books is “Curious George!” Her community was even able to build a new school last year, too! She loves to play with her cat, which is her most precious possession. She shared that her favorite sport is playing soccer—and she wants to know which sports the JKPC kids like to play! Chrsitelle shared that her family loves to joke around together and it is her mother who encourages her the most. 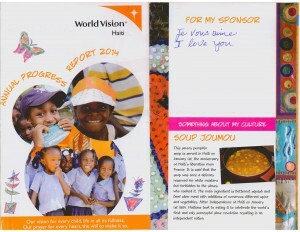 Her health is satisfactory and World Vision is improving her health with regular medical check ups. bulletin board in the church lobby. Hello! How are you with all of your family? I bought a goat & the rest used for other needs of the family. May God shed many benedictions on your family. Thanks. 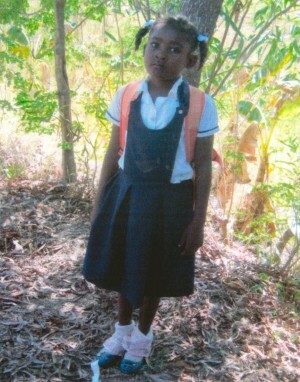 Thank you for your generous support of Christelle through our missions giving. 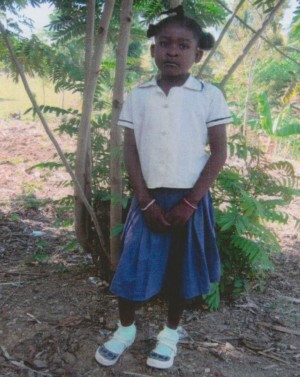 Our sponsorship enables her to attend school and to receive health education and annual check ups. 4,085 children and young people received school grants. 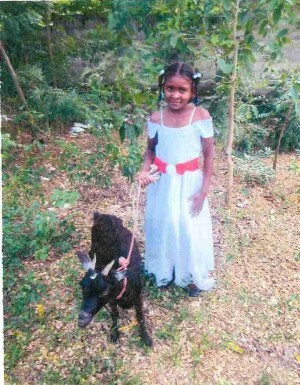 1,000 children and young people participated in spiritual enrichment activities. Youth enjoy the World Vision computer center. Youth received training in carpentry, computers, and sewing at the World Vision vocational center. 4,100 children received medical check-ups during this period. 50 malnourished children have recovered. 160 orphans and vulnerable children found support in the program during this period. 10,000 forest tree seedlings and 5,000 fruit trees were produced during the period. on the slopes and in the gullies. 6 veterinary officers were trained. 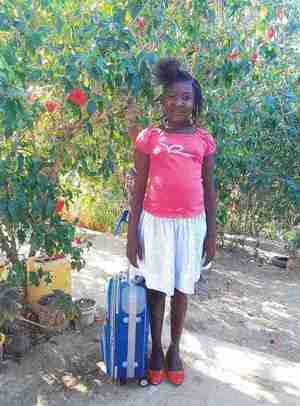 Please continue to pray for Christelle, her family and the residents of the Covihoy community during this new year. 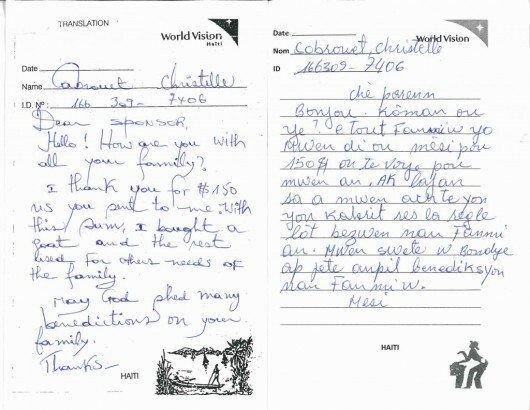 Thank you for making Christelle’s support possible through your generosity and faithful giving.